"Awesome! The best thing I've done in my life. 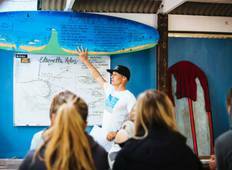 The instructors are so good, explaining..."
"The trip I did was 2 days in Byron Bay and 5 days at Spot X surf camp. My initial..."
"I loved every minute of my stay at Spot X. I went for a 5 day trip, but extended..."